A year ago I was far away, working for Wine-Searcher in New Zealand, but keeping an eye on what was going on in the Jura wine region and on how its wines were continuing to make waves around the world. 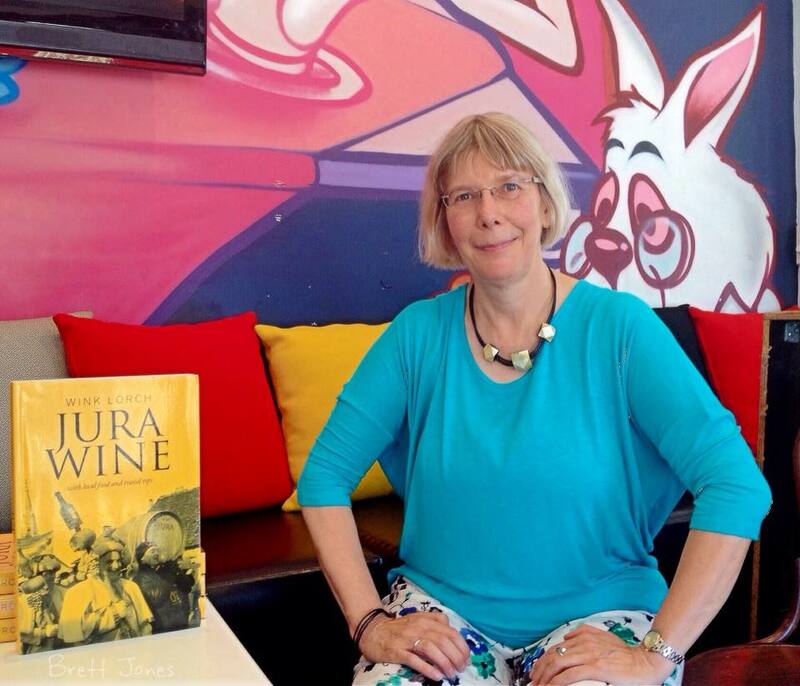 I had the chance to present my book at dinners and tastings in New Zealand, Australia and in the US – it was great fun to meet Jura wine lovers everywhere. I returned to Europe in May and since then have made a few brief trips in the Jura, attended tastings in Paris and London and, once harvest was underway, discovered generally an upbeat mood in the region. And, I’ve been selling my book well in the local Jura bookshops. What follows in an update on what’s going on in the region. And, if you don’t have my book yet, or want to give a copy as a gift, please scroll to the bottom of this post for a very special offer! What was most notable during the year was how much press the little Jura wine region received, especially given its tiny size. Could this be a fashion, many asked? Was it all my doing, because of the book, queried some? My answer to these questions could be no and no, but more accurately it should be ‘partly’. Exports have leapt from 7% to 10% and that’s with a series of small vintages too, and the buzz has grown and grown. For more on this see my thoughts over on Wine Travel Media. As widely reported, last December Jacques Puffeney let the cat out of the bag (early apparently according to his importer Neal Rosenthal) that he was selling most of his vineyards to Domaine du Pélican, the Jura estate owned mainly by Guillaume, Marquis d’Angerville. Since then I’ve visited with both Jacques and with François Duvivier of Pélican to taste the 2014s and discuss the changes. The fact is that Jacques had no successors and needed to sell. Negotiations to sell to his US importer and vigneron Michel Gahier just didn’t work and the offer from d’Angerville (with whom I know he had been talking since long before Pélican took on its first vineyards in 2012) was simply better. As Jacques used his personal name on his labels and not that of a domaine, the name on the label evidently stops with his last vintage – the 2014. Some of his 2014 wines have been recently released, others will take longer, notably the Vin Jaune for release no earlier than 2021, but it is resolutely Jacques who will shepherd them to bottle as d’Angerville did not buy his stocks. Domaine du Pélican, who are vinifying wines from Jacques’ vineyards for the first time this year, are likely to keep them separately to begin with – in future they may release individual cuvées. Two things are rarely talked about concerning Pélican – firstly is their complete devotion to getting the best out of their biodynamically run vineyards (those from Jacques are now in conversion) and secondly is that they have many links with local Jura vignerons. Two examples: new plantings are from massal selections from Domaines Pignier and La Pinte; and their manager Rémi Treuvey, is himself a Jurassien from a long line of vignerons. It’s true their first vintages taste perhaps too polished for the Jura, but I say give them time and the vineyards will speak out eventually. In other moves, Domaine Grand, once believed to be up for sale, has stayed in family hands. 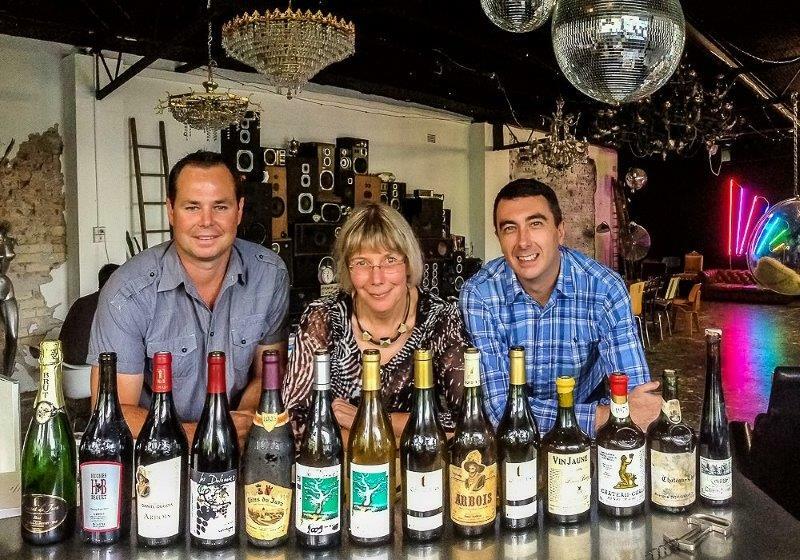 Brothers Sébastien and Emmanuel have gone their separate ways, so half the vineyards were sold, but Emmanuel has retained the premises and the business, joining with his partner Nathalie and there seems to be a real enthusiasm there. I have yet to visit. Among those who bought vineyards from Grand are Les Dolomies and Domaine Berthet-Bondet (now with daughter Hélène very much part of the team having completed wine production studies at Montmorot). 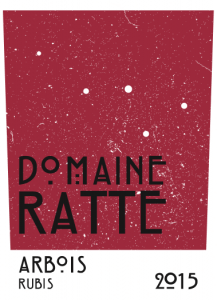 Rumour has it that Domaine Rolet in Arbois will also stay in family hands, this is yet to be 100% confirmed, but could be good news. The other big, but not entirely unexpected news at the end of 2014 is that the giant Burgundy-based négociant Maison Boisset has taken the majority shares of Henri Maire. It remains to be seen what they will do to improve the wines and re-vamp their terrible shop in Arbois. In Paris at Le Nez dans le Vert organic tasting in November, along with established participants there were two relative newcomers whose wines I had not tasted. Valentin Morel has now taken over the running of Domaine Morel in Poligny from his father Jean-Luc Morel. He is not only converting the vineyards to organic cultivation, but is also making the wines in an entirely natural way, with no or very low sulphur – he showed a 2014 Trousseau that was juicy, but a touch hard, but a 2015 barrel sample of Chardonnay showed excellent purity. 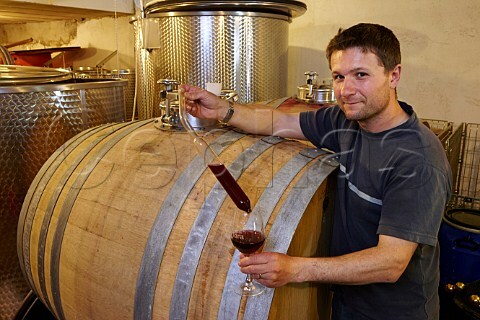 Philippe Châtillon, who years ago ran Domaine de la Pinte, has established his own tiny domaine in Passenans and Arbois, converting the vineyards immediately to organics. In 2014 he also worked without any SO2 as an experiment. I was impressed with his range, especially a deliciously drinkable Pinot Noir named La Grande Chaude. The wines from several other relatively recently-established vignerons go from strength to strength – these include, on the really natural side, Catherine Hannoun of Domaine de La Loue, with an interesting (pale) orange wine named Cuvée Raphaëlle, and Jean-Baptiste Ménigoz of Les Bottes Rouge. Other organic producers, whose ranges are tasting great, include Géraud and Pauline Fromont of Domaine des Marnes Blanches and Patrice Hughes-Béguet. Some background first. The last ‘normal’ vintage was in 2011, so growers were keeping everything crossed for 2015, most particularly for decent quantity, though of course everyone cares about quality too. Combining vintages 2012 and 2013 for some organic producers produced the sum of a normal vintage and red wines were in particularly short supply. In 2013, many producers lost much of their Savagnin to a type of pre-flowering coulure that meant future bunches just dropped off the vines due to the very cold early summer. In 2014, the scourge of the Japanese vinegar fly drosophila suzukii wrecked the Poulsard vintage so badly that compromises had to be made – selection wasn’t enough, they had to pick early, ripe or not, or lose the crop and few risked no sulphur additions. The sunny autumn saved the harvest of other grapes thank goodness, but overall no-one had a big crop. In 2015 spring passed with almost no outbreaks of frost or disastrous hail. Flowering was almost perfect (again there were some problems with Savagnin) and once summer came it was dry and hot – very, very close to being too dry and too hot. There was a palpable sense of panic in July as the vines simply stopped functioning, shades of 2003 except that this time there had at least been some winter and spring rainfall. Then, unlike in Burgundy, there was some welcome rainfall in August and the vignerons could breathe again. Hot weather returned, which meant a rush to harvest grapes for Crémant at the end of August and the first days of September. Many admitted it was a little late to catch the decent acidity levels usually required for good Crémant – maybe this means we might have some dryer cuvées from 2015 base – we’ll see. Odd things happened. Trousseau, which is usually the last red to be picked, was showing a potential of 13-14% alcohol at the start of September, before the Poulsard was ripe. At the end of the day, everyone was smiling at the great quality of all the grapes picked in 2015, with a few concerns about low acidities and some concern about quantity. Oddly the vignerons worried about quantity were those who farm conventionally, or in lutte raisonnée or so-called sustainable agriculture, rather than those working organically. The latter seemed happy, not citing big quantities but – for a change – normal quantities. My theory is that either those working with biodynamic preparations are feeding their vines the forces that can resist drought better, or those who have partly grassed-down vineyards often between every other row, simply suffered from too much competition for the water. 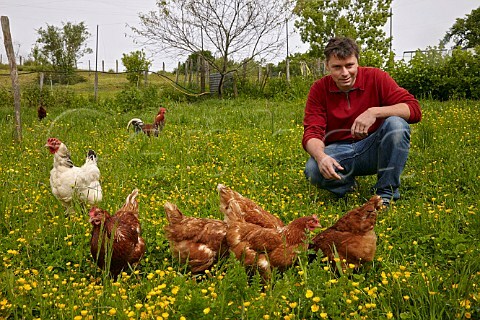 These days, most organic growers work with a bare earth principal, ploughing up the weeds and working the soil when needed and this meant no competition for water. 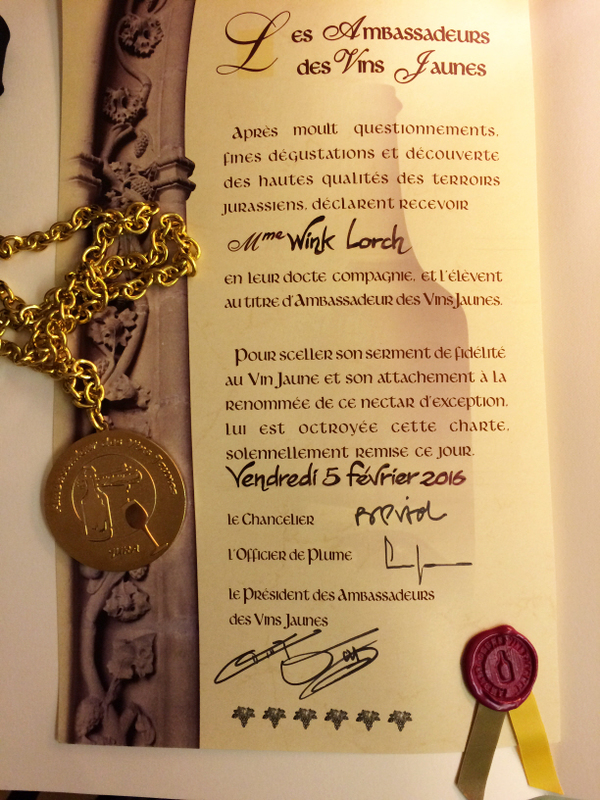 The annual Jura wine festival, the Percée du Vin Jaune will be celebrating its 20th anniversary in 2016 and will be held on February 6th-7th February in Lons-le-Saunier. Attracting 40,000 visitors, many believe this may be the last time the festival will be held in the same format – despite the fees paid by attendees, costs are very high and many wonder whether it is time to change the format. 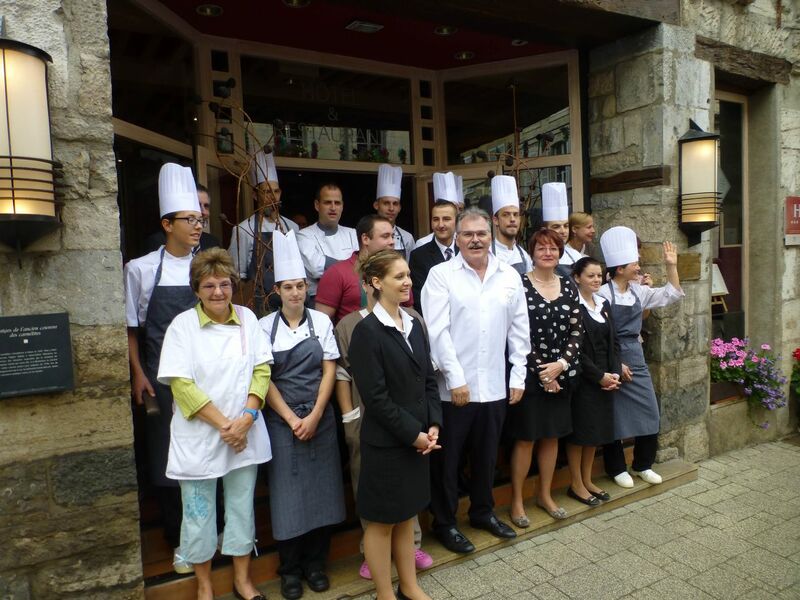 The year 2016 is likely to see many changes in the restaurant scene in Arbois. It is believed that Thierry Moyne has sold La Balance; Jean-Paul Jeunet is likely to be retiring, apart from for special events, and handing over to his ‘second’ who he has been working with for many years; Bistrot les Claquets is rumoured to be up for sale. 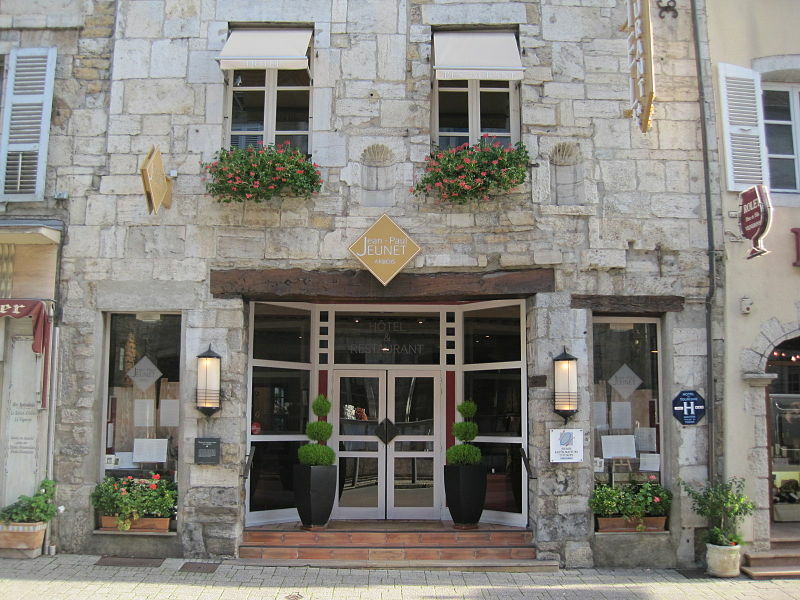 In the meantime, a new restaurant has just opened – Brasserie Aux Docks is on the main square, a few paces from Hirsinger chocolate shop and the many wine shops of Arbois. It will have a short menu, using local/seasonal ingredients – the chef was the ‘second’ at Château de Germigny until this summer. The wine list, to be launched in January (a shorter version is in place right now) will have over 100 Jura wines from over 40 producers, selected by me (there’s the disclaimer), plus a choice of wines from other regions, of course. If you would like a signed (or unsigned) copy of the second impression of my award-winning book Jura Wine for yourself or as a gift, then order from Wine Travel Media and use the code NY1625 for 25% discount, valid up to 5th January. Mailing costs are extra and cannot be discounted. If you want the book signed, then please state this in the comments, dedications are not always possible. The book is available on Amazon but will cost you more! For the electronic versions, click here to order on Kindle or click here for iBooks. In the Jura it’s the weekend of the Percée du Vin Jaune festival as I write, this year held in the village of Montigny-les-Arsures – the uncrowned Trousseau capital, near Arbois. I am working far away in New Zealand until March this year, and feeling sad to miss it. However, we are making the most of being down here and I have some events to announce. Greg Murphy is a self-confessed Jura fan and has worked long and hard to set up this amazing Jura evening in Sydney – an event that I am convinced will be unique (a word I don’t use lightly) in terms of both the wine selection and the exciting food to match. Greg’s partner in this venture is Shannon Noble, who has run Rare Wine Dinners since 2009. I have worked with Greg to select wines from his collection and will introduce each one and share stories about the region and its vignerons. This evening will feature 14 wines from eight producers, covering almost all of the myriad Jura styles. 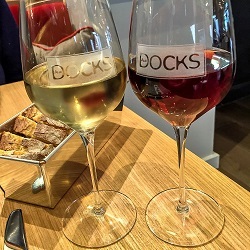 The main vignerons represented are Domaine Hughes-Béguet, Frédéric Lambert, Les Dolomies and Domaine Daniel Dugois – and their wines are soon to be imported into Australia. The evening’s older wines includes a 1999 Trousseau and a 1993 Chardonnay from Dugois, plus a 1995 red blend from Caves Bourdy – all three should be in fine condition. Three mature Vins Jaunes – yes three – include the relatively young 1996 Domaine Badoz, plus 1975 Henri Maire and 1942 Domaine Meurgey, all from very good vintages – a very exciting line-up. The dinner is limited to about a dozen guests, and only a few places remain. It is expensive, but this will be a very special evening. 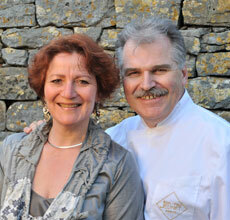 For more details please contact Greg direct or visit the page featuring the Jura dinner on their website. I will of course be signing books and have a few copies available for those who don’t already own one. Maison Vauron are the main importer of Jura wines to New Zealand and have shipped wines from Stéphane Tissot for a few years. They have recently brought over some whites from the lovely Domaine Buronfosse too. More details of this evening will emerge soon, but if you are interested in joining me there, please get in touch with Maison Vauron or with me directly. This is sure to be a top-rate tasting and I will have a few books available there too. 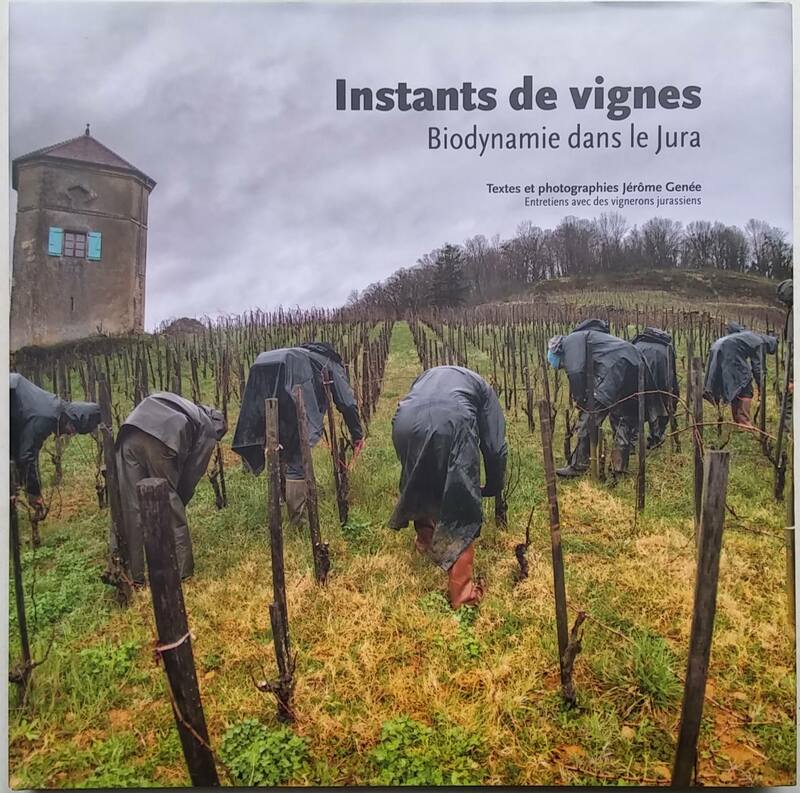 Last year in March, the first public showing for my book was at the wonderful Le Nez dans le Vert in the Jura that features over 25 of the very best organic wine producers, each showing up to six wines. This year the event (see page 129 of my book) is to be held at Domaine de la Pinte in Arbois. It is open to the public on Sunday 22 March and then on Monday 23 March (morning only) is a trade-only session. I will not be able to attend this year as we will still be far away, however, it is likely that my books will be available to purchase through Méta Jura (publishers of the Château-Chalon book and La Parole de Pierre). 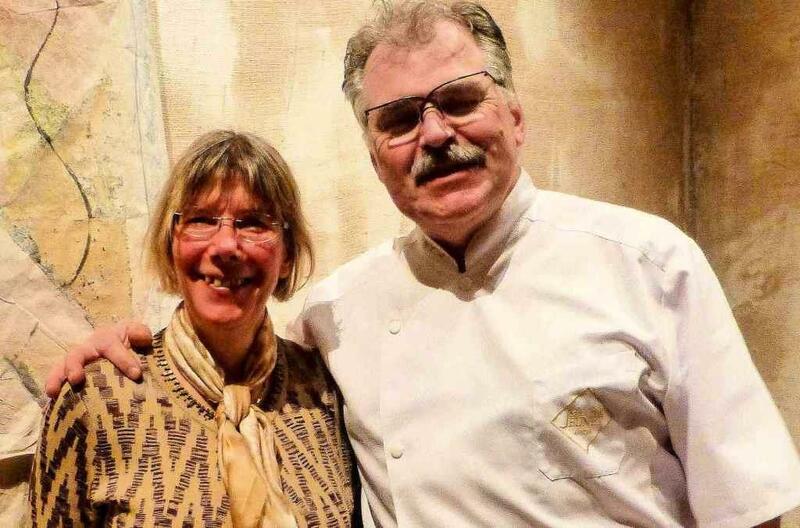 I cannot commend this show to you more highly – there’s a wonderful atmosphere, a great organic lunch and the chance to schmooze with some of the legends of the Jura in their home region. 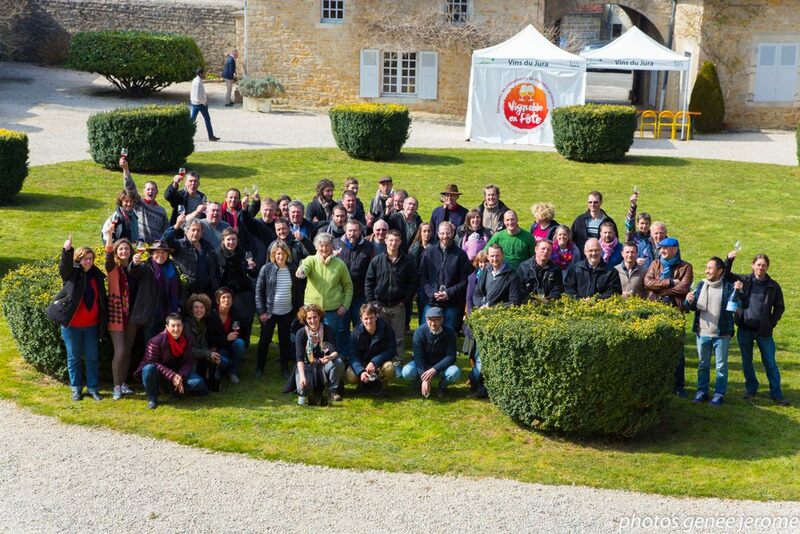 This year the CIVJ (Jura promotional body) together with 15 – 20 wine producers will be presenting their wines to the wine trade and media in Vancouver (April 13), Seattle (April 14) and San Francisco (April 16). The CIVJ seems not to have any budget or space for me to join them despite me planning to be in the U.S. at this time, however I will likely be presenting wines and my book elsewhere in the U.S. – watch this space. In London, the date set for this year’s trade and media tasting is Tuesday 5 May. Details of the event will be announced later. I will be there having returned from our travels a few days earlier. The Jura Wine book has had a spate of wonderful reviews in the past few months and was selected by both Eric Asimov in the New York Times and by the reviewer for JancisRobinson.com as one of their “Books of the Year”. I am delighted to say that it has also been short-listed in the André Simon Food and Drink Book Awards 2014 – the winners will be announced at the end of March. I’m very proud. 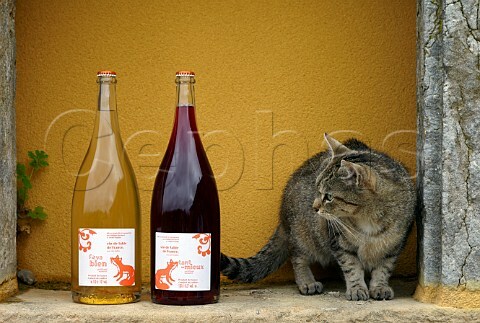 One of my favourite Mick Rock photos from our Jura Wine book shoot… Philippe Bornard’s cat is as curious as the rest of us. The Ebook is now available in Kindle form or ePub form for iBooks and other tablets. The links and obvious places to buy them are on Amazon or iTunes. However, for a limited time until 30 April 2015, I can offer a 50% discount, especially for readers of this blog, if you buy direct from YPD Books. Simply input the code ‘offer50’ (without the inverted commas) when you pay. Once you’ve paid, you can download to your device. Note, this code is NOT available for use on Amazon or iTunes – with YPD Books I do not have to pay commission. Please ensure that you order the correct version! Remaining copies of the printed book are diminishing steadily – there are only a few hundred left. You may wish to order a copy if you haven’t got one already and pass on the word to those who hesitate… I cannot guarantee there will be a second edition or a reprint. Not being in Europe, it is impossible for me to assess the vintage personally, but most growers are happy overall with 2014. Volumes were normal, thank goodness after the small 2012 and very small 2013 vintages. The biggest downside was that some producers lost much of their Ploussard/Poulsard due to the nasty Drosophila suzukii bug that rampaged through parts of Europe’s vineyards last August/September. We spent New Year with a good wine friend, Rob Geddes MW, who writes the comprehensive Gold Book, an annual guide to Australian wines. He kindly set up a Jura tasting for wine trade/media during our visit. Wines were provided by Greg Murphy (above) and by Randall Pollard of Heart and Soil, and Andrew Guard Wine Imports, all of whom I’d like to thank – see the Australian stockists page for their details. It was a wonderful tasting of 16 wines – especially enjoyable for us, having not tasted any Jura wines for more than three months! Highlights included Stéphane Tissot’s 2013 Poulsard, Hughes-Béguet 2012 So True (Trousseau), two wonderful Julien Labet whites – the 2012 Fleur de Savagnin and 2012 Chardonnay La Bardette. The latter along with Les Dolomies 2010 Chardonnay Les Boutonniers were still tasting fabulous two days later (despite less than 20% remaining in the bottle, and kept in a warm room too!). A highlight in the oxidative selection was Jacques Puffeney’s 2007 Vin Jaune, very young of course and also tasting better a few days later. He made his last vintage in 2014 so it was fairly emotional drinking this. 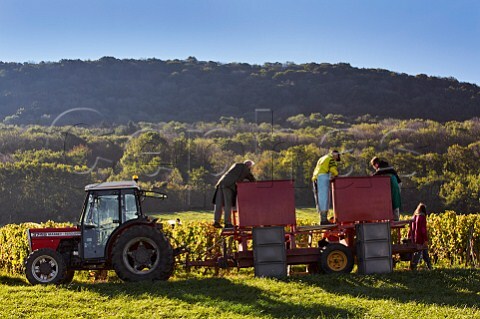 All images shown on this post, except the last, are by Mick Rock, who now has a fantastic collection of Jura wine photos – ranging from producer portraits to ancient cellars, and from Comté cheese to stunning vineyard landscapes. 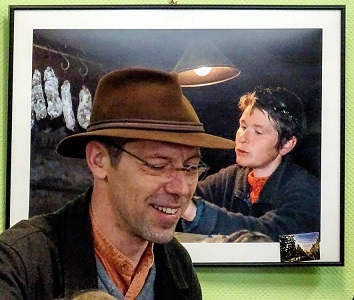 Do visit Cephas Picture Library and recommend him to anyone who needs Jura wine region pictures for professional use.